Manage multiple operations through your Harbortouch POS system: accept cash, checks, credit and debit, place orders, access reports, track inventory. Increase operational efficiency, minimize ordering errors and reduce shrinkage. More accurate employee time tracking reduces payroll. POS software provides all the features needed to support your business while high-end hardware provides the reliability you need. Manage your orders more accurately and efficiently whether you need to transfer tickets to other users, change tables, split checks, apply discounts or quantity of an item. Manage the tables in your restaurant and see which tables are occupied, which are vacant and how many people are at each table. 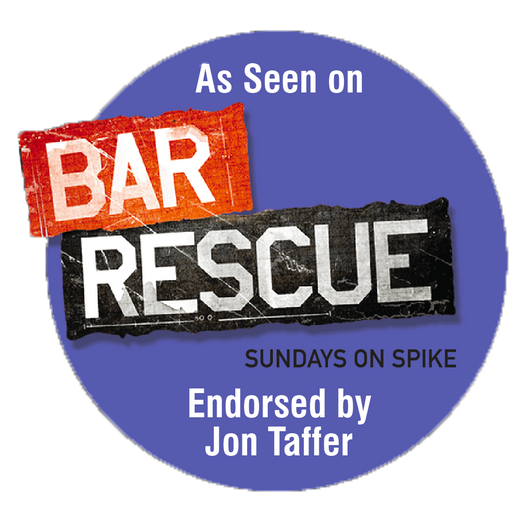 Allow your bar patrons to open tab, encouraging increased spending and more revenue for your business. Access a complete employee database, showing specific details on each staff member. Track hours worked, edit timesheets, calculate overtime. Check inventory count in real-time. View a countdown of item portions remaining on-hand and recive a notification when an item is running low. Dynamically create manual comps, coupons and automatics discounts within seconds. Various options allow you to easily create happy hour. Add and edit menu items in real-time with a simple and intuitive interface. The menu setting can be fully customized and accommodate unlimited menu items/modifiers. Quickly view customers order history and personal contact information. You can also identify best customers which is ideal for loyalty programms. Communicate directly with your staff by adding a message of the day to the login screen (wish a happy birthday, promote sales of a particular item, etc). Lighthouse enables you to run real-time reports and even make changes to your menu remotely. Lighthouse puts you in total control of your business no matter where you are in the world. 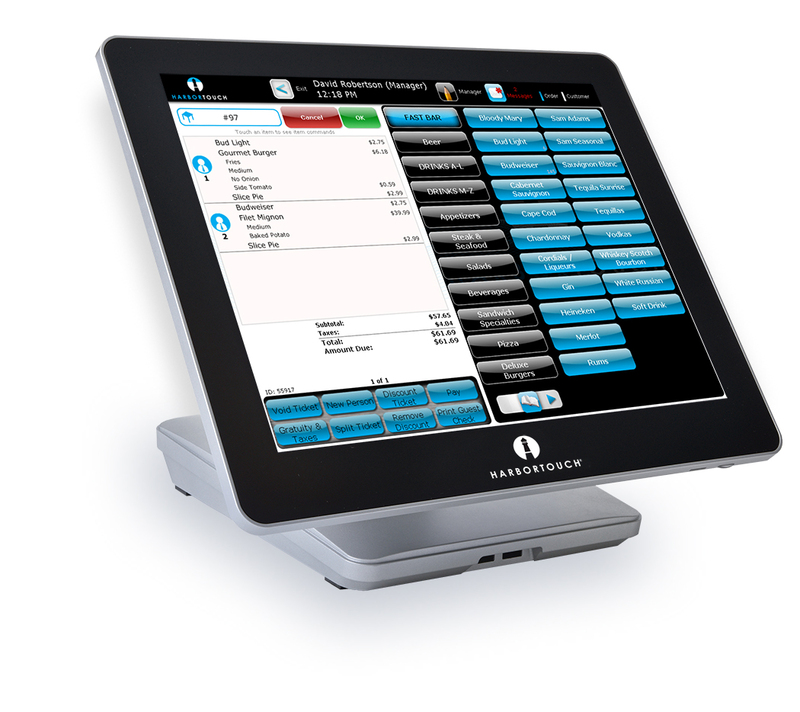 Harbortouch Tableside enables restaurant servers to input customer orders directly from the table via an Apple® iPad®. A dedicated iPad app mirrors the interface of the actual POS software. 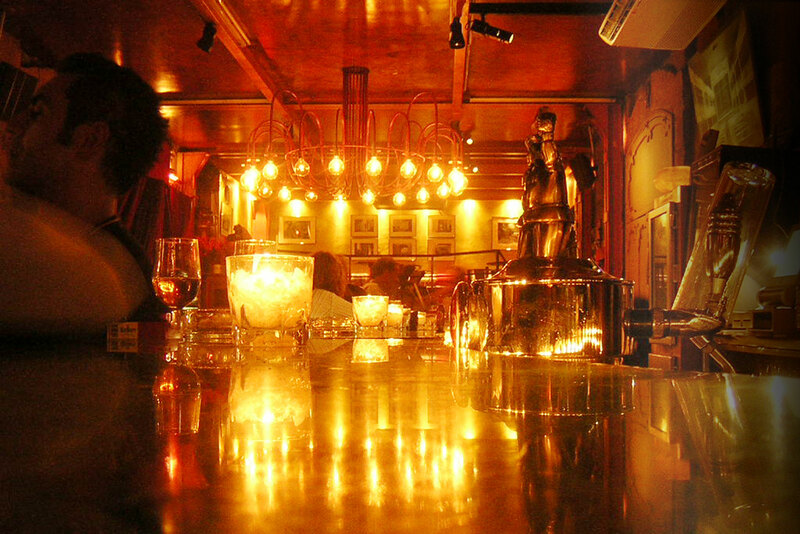 The orders are relayed directly to the kitchen or bar for a dramatic increase in efficiency. 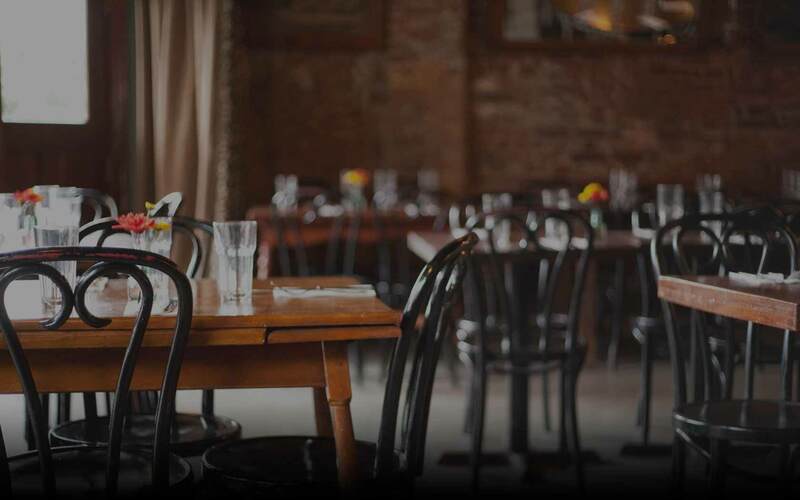 Harbortouch Reservations enables restaurants to manage all incoming reservations directly through the Harbortouch POS system. This feature allows you to accept reservations online or manually enter reservations at the point of sale and track them all through your POS system. Harbortouch Online Ordering allows you to accept orders online through a customized and branded menu. When customers order online, a ticket will automatically be generated within the POS system. 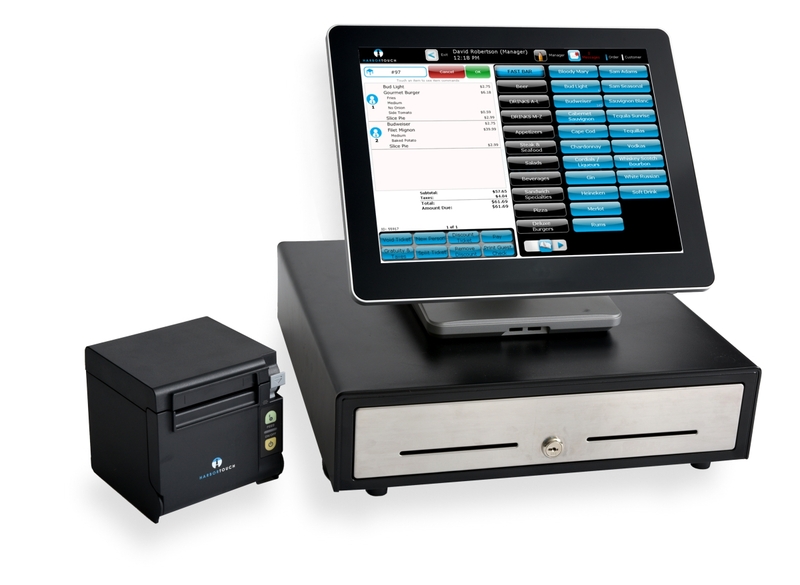 This solution is fully integrated with your existing POS menu to provide a seamless experience. Harbortouch has developed a mobile application for the Apple® iPhone® called Perkwave which enables your customers to pay their bill right from their phone using Apple Pay. The app is integrated directly into your POS system so the entire transaction will be as seamless as any other payment type. Perkwave also enables you to offer a mobile loyalty program to your customers right through the app. 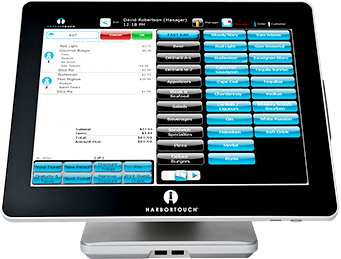 Harbortouch is a leading national supplier of Point of Sale (POS) systems, serving tens of thousands of businesses across the nation. and has garnered numerous awards and accolades for its outstanding customer service and innovative products.